13" dia. lacquered poly-resin chargers. 4/set in the same color, cannot mix colors in the set. 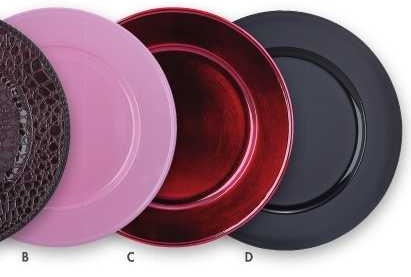 Choice of solid black or pink only.